What do you look like when the mask is off? Jesus, in His Divinity, has the deepest understanding of the human mind, for as the Word who was with God from the beginning (John 1:1), He created humans. And their minds. Here, Jesus is exposing the Pharisee who is a hypocrite; the word “hypocrite” comes from the world of Greek drama and means the mask that is put on to hide or change a person’s identity. The Pharisee, puts on a mask of self-righteousness, thinking that he is justified in his religious actions; implied by the commentary is the fact that the Pharisee lacks self-awareness: the Pharisee has worn the “self-righteous” mask so long, that he is convinced he is holy. Jesus exposes the folly, suggesting that the Pharisee needs to take off the mask and search his own soul. When he does, the Pharisee will find that he too is a sinner. In contrast, the tax collector wears no mask, and because of this, is able to see himself for what he really is. 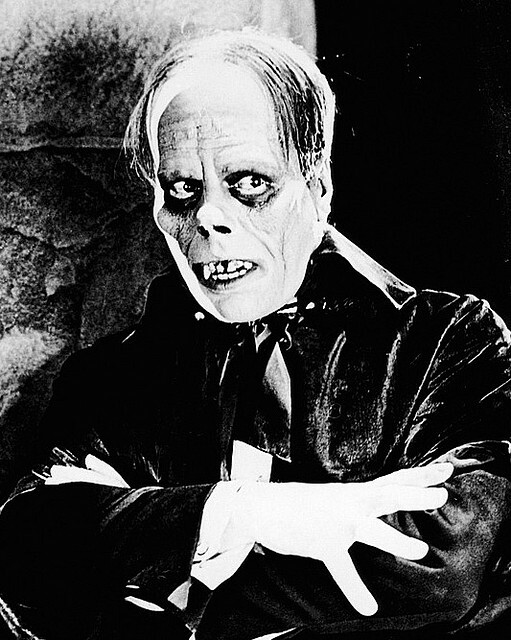 Of note: The picture above is Lon Chaney, the great actor, in his role as the Phantom of the Opera. In the movie, the Phantom wears a mask, but ultimately the mask is removed, exposing the physical ugliness of the Phantom. Each of us, to some degree, wears a mask; we seek to fool the world and often ourselves. Jesus, the Divine Psychologists offers this stark advice: Don’t be a hypocrite: Take off your mask and return to God in humility and obedience.